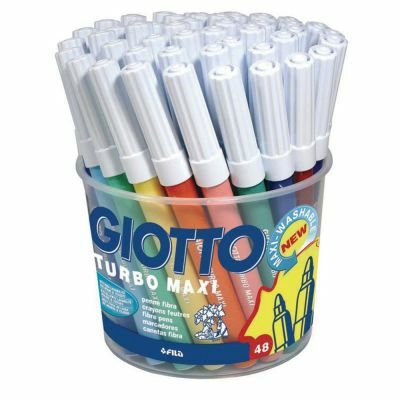 Supplied in a useful tub for clean storage this big point felt tips are ideal for little hands in arts and crafts activities. Get 48 pens in assorted colours per pack which are great for colouring! The extra thick tips make colouring in quicker and easier. A classroom essential!